BURLEY – Lois Jean Fullington Farwell, a 90-year-old resident of Burley, passed away Friday, Feb. 8, 2019, at her home. Lois was born Dec. 27, 1928, in Price, Utah, the daughter of Phoenix and Reva Woolsey Fullington. A few years later, the family moved to Burley. Shortly thereafter her father, a United States Marine Corps veteran of World War I, died of pneumonia. Lois related fond memories of the devotion and attention her father gave her as a young child. After her father’s death, her mother married Raymond Hull, who had a farm just north of Burley. Ray became a devoted stepfather to Lois and her brother and sister. Lois often related colorful stories of her experiences as part of that family and she came to love her new siblings. Her stepfather was a wonderful storyteller and the new family brought an abundance of interesting experiences. 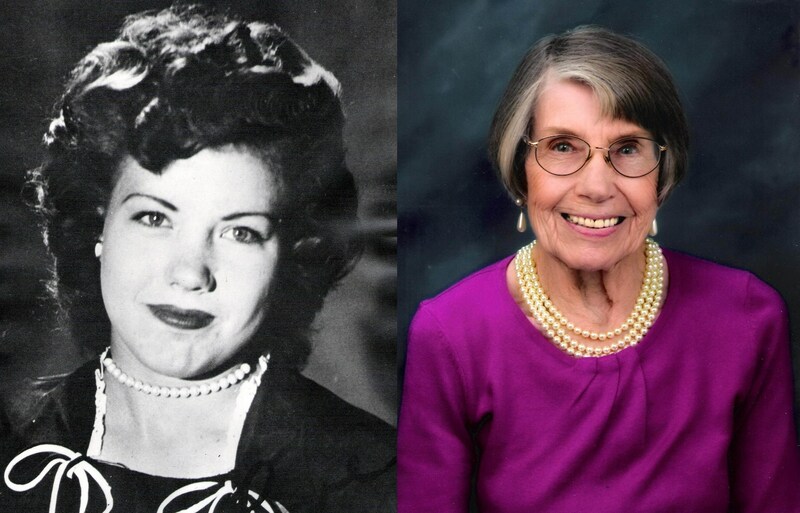 When World War II broke out, Lois found herself in Oakland, California, working at a drugstore, ice cream and soda shop. It was her first adventure in a broader world outside of her family, and she loved it. When she returned to Burley at the end of the war, she met her future husband, Max Farwell, who had just returned from Italy, after being discharged from the United States Army Air Forces. They married on March 6, 1946, and made their home in Heglar, Idaho, where they joined Max’s parents in farming operations. Lois and Max eventually took ownership of the farm and raised their five children there. Lois did it all. She cooked, milked cows, raised chickens and butchered them in the fall. She even drove truck, operated big tractors and combines whenever help was short. Most of all, she cared, nurtured and encouraged her children. She was a faithful and devoted wife who could fix things, improvise, and remain optimistic when times were tough. She loved and excelled at gardening, sewing, needlework, painting, and antique doll collecting. She restored antique dolls for others, which gave her great satisfaction. She was a wonderful and generous person who would, at every opportunity, help anyone in need with encouragement - which was often backed up with material generosity. Her kind and loving spirit will be fondly remembered by those who were close to her. Lois was a member of the Methodist Church. She was an active participant in PTA when her children were in school and, later on, with the Wacky Widows Club - of which she is one of the last surviving members. She is survived by her children, Gary Eugene Farwell, DVM (Louise), Blenda Lee Watterson, Carla Ann Haney, Albert Michael Farwell (Shanna), and Douglas Max Farwell; 13 grandchildren; 32 great-grandchildren; nine great-great-grandchildren; two surviving siblings, Marva Hull Allen and Thomas Hull; and a sister-in-law, Orlene Hull. She was preceded in death by her husband, Max J. Farwell; father, Phoenix Fullington; stepfather, Raymond Hull; mother, Reva Woolsey Fullington Hull; brother, Phoenix Fullington Jr.; half-brother, Edward Hull; sister, Viola Fullington Sears; half-sister, Betty Hull Bigelow; a grandson, CW4 Gary Marc Farwell; and two great-grandsons, Braydon James Horton and Ethan Alexander Farwell. The funeral will be held at 2 p.m. Saturday, Feb. 16, at Rasmussen-Wilson Funeral Home, 1350 E. 16th St., in Burley, where friends may call one hour prior to the funeral. Rev. Kenneth L. Haftorson will be officiating. Burial will follow at Gem Memorial Gardens.